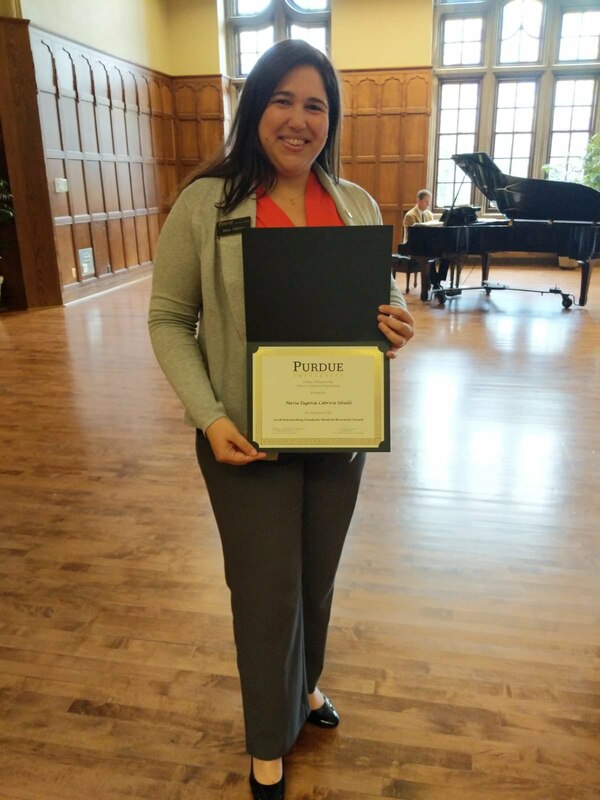 One of our lab members, Maru Cabrera, was awarded the 2018 College of Engineering Graduate Outstanding Research Award. Students are nominated for the award by the faculty based on numerous factors, including peer-reviewed publications, awards received for presentations or publications, potential contribution to the field and society, leadership in a research group or community, participation in professional societies, and overall academic achievement. She was recognized at the 2018 College of Engineering Graduate Student Research, Teaching, and Service Awards Luncheon on April 24th.